26-Oceania, Borneo e Australia . The map is in the Atlas de la Navigation et du Commerce qui se fait dans touts the Parties du Monde, published in 1715 in Amsterdam. 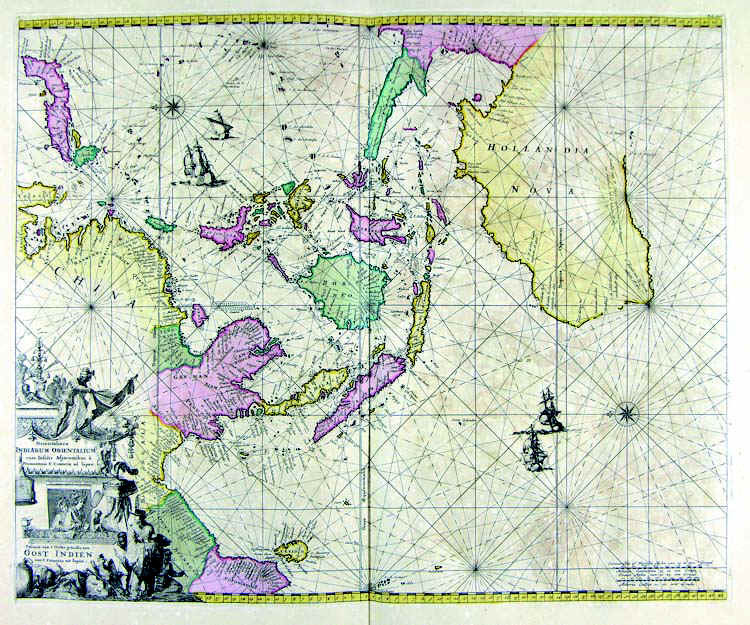 The map is decorated with a fine cartouche, from an exquisite engraving.